Be sure to check the BAND NOTES for a list of events, paperwork, and volunteer opportunities. Rhythm Rodeo! As much as you can EVERY DAY! Note ID- Everyone should be able to pass at 90% or above. You can practice down below before trying the '50 note quiz'. Time does not matter- but we will recognize the fastest times! MARK YOUR TIME on your PJ! At the start of the year, we will be learning the treble and bass clef notes. Use the links below to practice and work up to the 50 note quiz! Once you score 95% or higher choose 'View Report' and cut and paste that code into the contact form below. You will have the opportunity to do this in class if you cannot do this at home. These quizzes are from www.musictheory.net. Check out this awesome site! 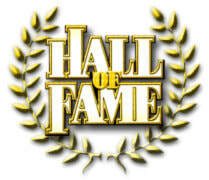 Note ID HALL OF FAME! The Students Below received a 100% on their note ID quiz AND had a blistering fast time! How do you measure up?